Traditional Mexican clothing combines native and European influences, with a particular focus on the use of textiles made locally. Particularly for the women, embroidery and woven designs were popular, and outfits were colorful and patterned. Traditional dress-making in pre-Hispanic Mexico began with locally-made fabrics made from materials grown in the region, such as cotton, bark and agave, according to the website FactsAboutMexico.com. The Spanish influence brought with it fabrics that were popular among Europeans, including wool and silk. Until the European influences began to change traditional dress, people dyed their rough textiles with natural plant essences, notes Kwintessential. The Europeans brought their synthetic dye methods which were quickly taken up by local dress makers. Mexicans had particular outifts and styles for certain holidays and celebrations, including the "charro" suit worn for Carnival, according to FactsAboutMexico.com. The "charro" is a decorative, highly embroidered suit teamed with the most famous Mexican accessory of all: the sombrero hat. For many people the sombrero is a symbol of Hispanic Mexico. The wide-rimmed hat was designed to create a shadow over the face, protecting the wearer from the hot sun, and it was usually made of inexpensive straw. When we observe the traditional Mexican clothing we find elements from European culture mixed with local traditions. Mexico has its own selection of favored fibers that they commonly use to make their traditional dresses. Cotton, agave, bark, wool and silk are amongst those fibers that have been used by the pre Hispanic civilizations that dwelled in the land. Wool and silk were particularly introduced by the Spanish much later. 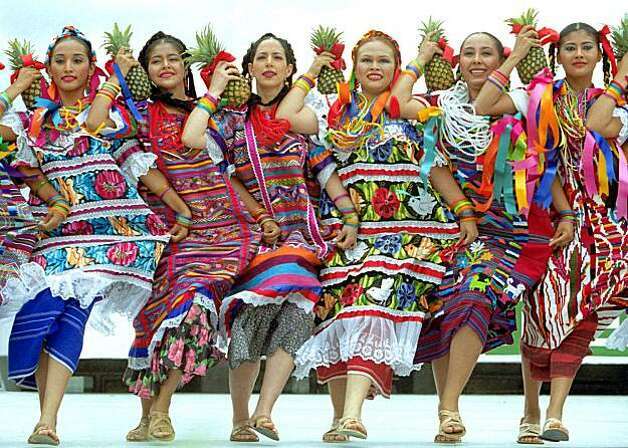 In the good old days the Mexicans used to use elements from nature to bring color to their clothes. With the discovery of aniline dyes from Europe they gave up that practice and adopted the European dyeing technique. Traditional Mexican clothing comes in many varieties that are very easy to differentiate at a glance. Not only is the difference apparent in terms of the gender for which the clothes are made but even differences like social status and ethnic grouping are quite obvious. The native sense of style is also different from “Mestizo” clothing. The traditional dress code for women consisted of a skirt accompanied by a tunic called huipil. They used a shoulder cape by the name of quechuemitl to cover their shoulders and a rezobo shawl to take over the head. The clothing for men bears likeliness to European style clothing. Trousers and shirts are common but with the native addition of the large blanket cape known as sarape. This attire is not complete without boots. As for the celebration dresses, you will find that the Mexicans have different costumes for special days in the year which are worn to complement the feel of the occasion.